The Tudor Ref. 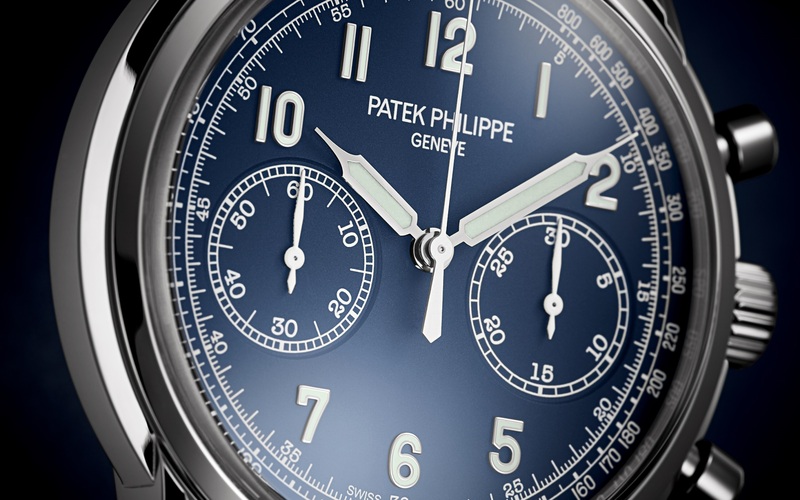 94110 Blue Snowflake Submariner is arguably one the coolest of all vintage Tudors. Why? Because it is basically a Rolex Submariner minus the in-house Rolex movement — with a Tudor dial and unique snowflake shaped hands. 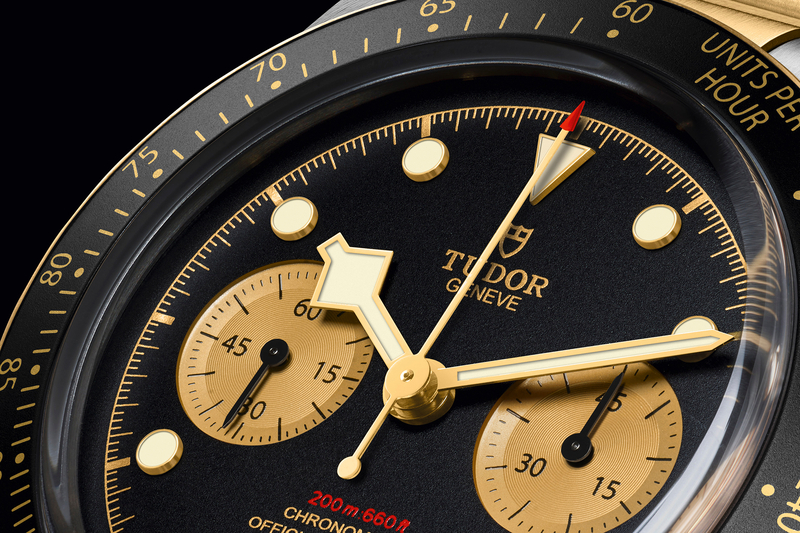 The case, bracelet and overall design come directly from Rolex (Tudor’s parent company). The caseback is stamped “Original Oyster Case By Rolex Geneva.” The bracelet is a Rolex Oyster Bracelet (9315 with 380B end links). The acrylic crystal has a cyclops date magnifier, just like on date versions of the Submariner. Even the crown uses Rolex’s Trip-Lock seal technology. 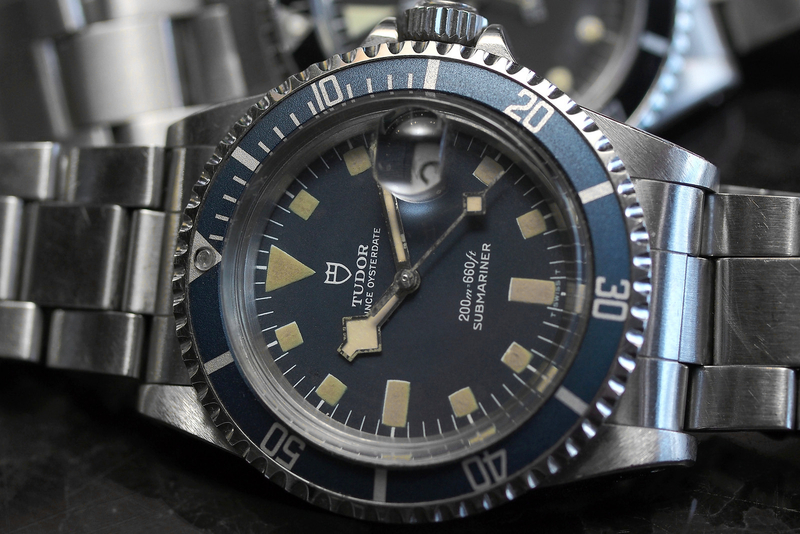 This 1970s Ref 94110 Tudor Blue Snowflake Submariner has the original dial and snowflake hands, with good even patina. The bezel dot is missing and the case has slight signs of wear, but there a no major dings and overall the condition is good. If you like the looks of vintage Rolex Submariners but want something a little more unique, and you do not mind the ETA 2784 movement, this a great choice.